Have you ever thought of a genius idea for a toll-free number, only to find out it’s already taken? Brush the cobwebs off all those ideas, because the FCC has announced that it’s releasing the 844 toll-free prefix on December 7, 2013. To help get you started, we’ve put together a few quick tips for choosing your new toll-free numbers (TFNs). With 61 percent of adults in the U.S. now owning smartphones, memorizing phone numbers is not as vital as it was in, say, the ’90s. It’s easy to whip out your phone and do a quick search for the phone number of the company you need to get in touch with. So while having an easy-to-remember phone number doesn’t serve the practical purpose it once did, it does help make your company memorable. Take 844.732.6464, for instance. Do you associate this number with any particular brand? Probably not. But, for the purpose of this example, let’s say you’re interested in our RECOGNIZE voice speech-recognition software. In all the advertisements you see for this product, you’re told to call 844.RECOGNIZE for more information. Now, instead of seeing a random jumble of digits, you associate this number with a specific product and in turn a specific company (i.e., Who's Calling). We’ve established that choosing a memorable TFN is important, but we’d like to add a caveat: If a number is memorable but has nothing to do with your business, it’s a no-go. 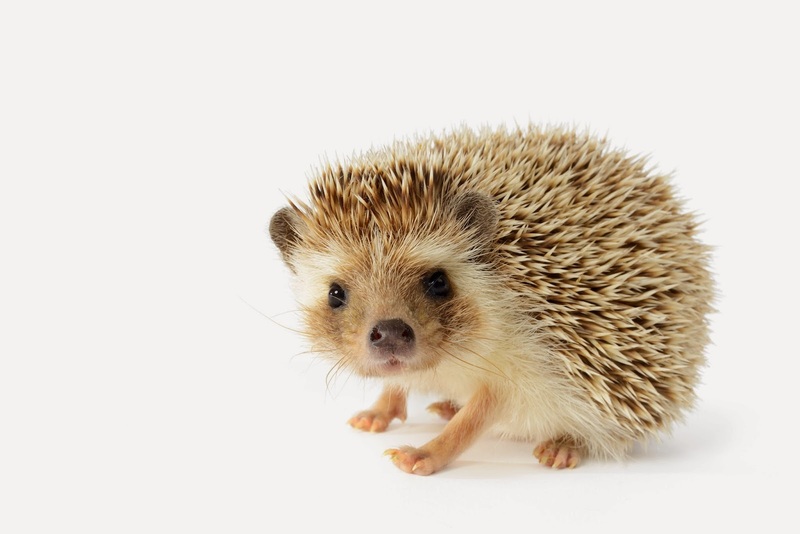 What if we chose to use the number 844.HEDGEHOG for our RECOGNIZE campaign? People might remember it, but unless our campaign features a hedgehog, that number isn’t going to do much in terms of brand recognition. The same goes for abbreviations that most people won't recognize (no pun intended), such as 844.RCGNIZE and 844.WHCLLNG. We’re dubbing the release of this new area code the 844 number gold rush. Since the introduction of the 855 prefix in 2010, it’s been nearly exhausted, so be prepared to jump on the 844 numbers you want for your business. Because TFNs are assigned on a first-come, first-served basis, think of all the TFNs you think you’ll need for your ad campaigns and request them sooner rather than later. Here's hoping you get your lucky numbers! Each day, higher education admissions offices receive hundreds of phone calls regarding dozens of topics. Sometimes it's the mother of a soon-to-be student, and other times it's the prospective student himself. Either way, a caller should be treated as a priority. 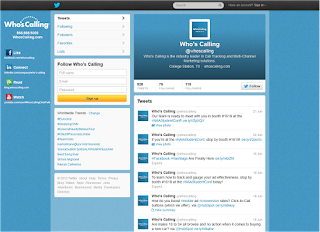 A call tracking program such as Who's Calling can help you accomplish that. Here's how. With the ability to record and listen to phone calls, you'll be able to determine whether your phone staff is handling calls in a professional manner. 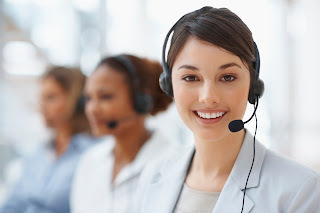 Call tracking software allows you to play back call recordings immediately, so any issues can be dealt with right away. Not only that, but you will also be able to use the call recordings to train staff on how to handle phone calls correctly (or how not to handle phone calls). 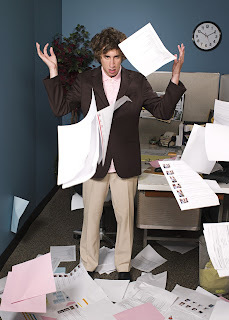 Degree plans and transcripts and class sizes, oh my! It's hard to keep track of every topic that comes up during the hundreds of phone calls your staff receives each day. Call tracking software allows your admissions employees to make notes of the main topic of each call. You can then sort the call recordings by subject and figure out which ones are most important to parents, students and post-grads. 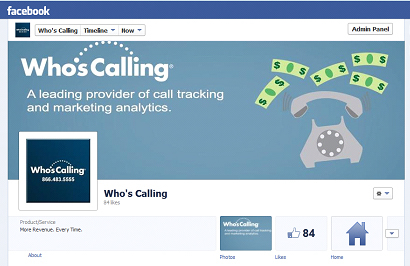 One of the benefits of call tracking is being able to identify which calls come from which advertisements. When prospective students call wanting more information about the school, it would be nice to know how they got in touch with you. Are your social media efforts the most relevant, or are your huge billboards (literally) paying off? Call tracking lets you know who is calling, where they are calling from and how/where they got your phone number, so you'll know what marketing efforts are hitting the bulls-eye and which ones aren't even hitting the board. Since the birth of the Do Not Call (DNC) list, there have been 105 cases and close to $100 million in penalties. 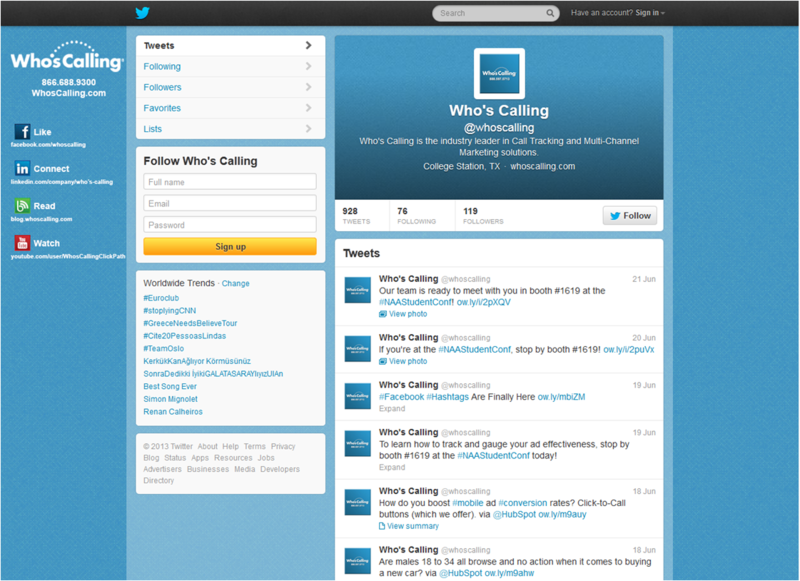 Check out more statistics about the Do Not Call list in this infographic. Feeling a little worried about DNC violations? Learn how to protect your business from DNC fines and penalties here. As a developer, your company’s website is your pride and joy and the cornerstone of your business’s marketing strategy. You spend hours researching the right keywords for your industry and go cross-eyed studying its analytics. You've developed quality outside links to your site, and your social media campaigns are on point. Over the last month or two, however, traffic on your site has been declining despite your best and, until now, successful SEO strategies. 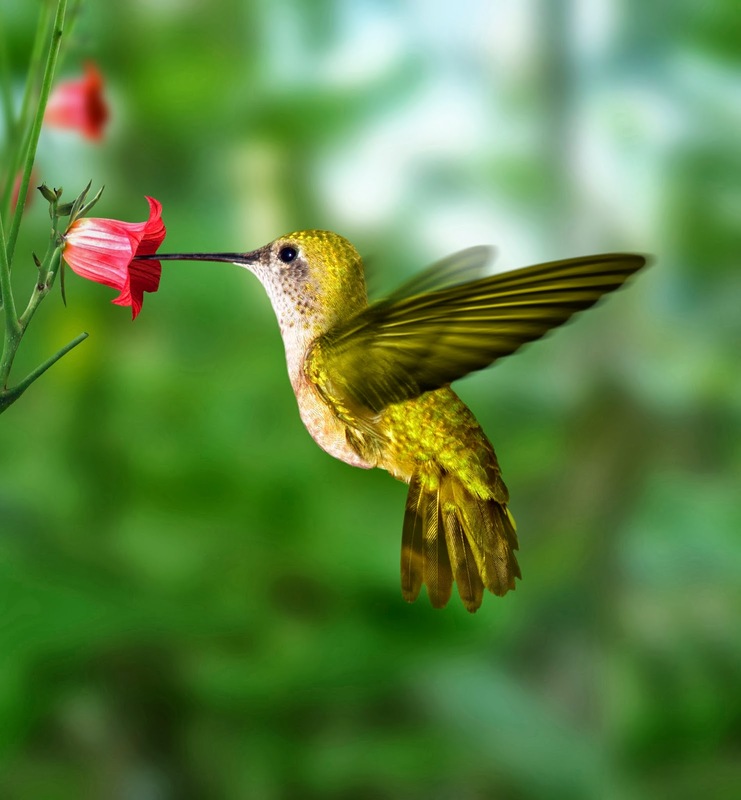 The genesis of your search engine woes may be Hummingbird, the latest and most sophisticated Google algorithm update to date. On September 26, 2013, Google announced that it had implemented Hummingbird approximately one month prior. Whereas previous updates such as Panda and Penguin functioned as a tune-up to Google, Hummingbird is tantamount to dropping in a whole new engine. The main focus of this update is the recognition of conversational, long-tail search queries to provide more specific results. This latest evolution is a result of the ever-growing mobile device market. When using voice recognition such as Siri, people tend to make their requests in a conversational manner, so it's important to Google that its voice search technology provides mobile users with the same semantic and comfortable user experience. So how do developers adapt to Hummingbird, an update that impacted 90 percent of search queries worldwide? The following concepts will not only help you adapt your company's website but prepare it for the future of SEO. This particular update was created to improve the end-user search experience and provide relevant results based on more semantic search queries. It was not meant to change the dynamics of SEO or reduce the ranks of low-quality sites. Unlike previous updates, it was meant to be transparent from an SEO standpoint. However, the use of long-tail conversational queries will almost certainly bless websites that already provide quality, descriptive content. It is important to maintain your off-the-page SEO tactics, as Hummingbird should not affect them one way or the other. While semantic search is not the death of a keyword-based SEO strategy, it does add a new search dynamic — the context of keywords. It's now important to research not only what keywords consumers are using but how they are using them. Your market research should reflect how people ask for information about products and services in general, not necessarily what they would type in a search engine. You can more effectively derive quality keywords from this research, thus improving both SEO and PPC effectiveness. As always, you can’t go wrong with fresh, quality content. It's important to remember that search engines can't purchase goods and services, but consumers can. Be aware of keywords, but write your content for the end-user. As semantic search evolves, the gap between what consumers look for and what search engine web crawlers look for will undoubtedly close. In conclusion, while there should be no initial SEO impact from Hummingbird, search engines will continue to favor quality content as semantic search evolves. Developers can drop their SEO “blinders” and create a website that will not only entice their target demographic but also soar to first-page search results. Does Your Business Have Two Faces? Businesses often sport two faces: the one you see online and the one you talk to on the phone. When Two-Face, the comic book super villain that spices up Gotham City from time to time, flips his coin, you never know which side it will land on. While this makes for an exciting plot twist for readers, when businesses pull the same stunt with their poor phone service, leads are thrown for a loop that sends them flying into the arms of the competition. Initially consumers in the early stages of their research are won over by what they see on your site. Then they hit your Click To Talk button and connect with a business that bears your name but doesn't resemble the face they've come to know and love online. You shuffle them haphazardly into a phone tree of never-ending transfers. They're confused. What happened? They loved you. They wanted you. In return, you delivered them a completely different type of service from the one they experienced online. They thought they knew you. They were wrong. You need to remember this: The prospects that call your company are not your run-of-the-mill leads. These callers are far more valuable. A recent study by the Corporate Executive Board reported that customers reach out to businesses by phone when they are 57 percent of the way through the decision-making process. This means that the people who call your business like what they've read about you online and are nearly ready to seal the deal. That is, if you don't fumble the lead with your poor phone service. 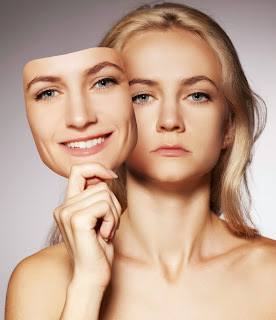 To avoid appearing two-faced, here are some tips you should follow. When a prospect calls your business, don't waste their time by requiring them to speak to multiple people before reaching the one that can actually answer their questions. Instead, simplify your call handling process by creating a customized phone menu with intelligent call routing options so you can quickly close the sale. You can't see the face of your company clearly unless you're looking into a mirror. Recording and listening to your staff's phone calls and letting your employees evaluate their own calls is a great way to identify what type of phone service your leads are experiencing. 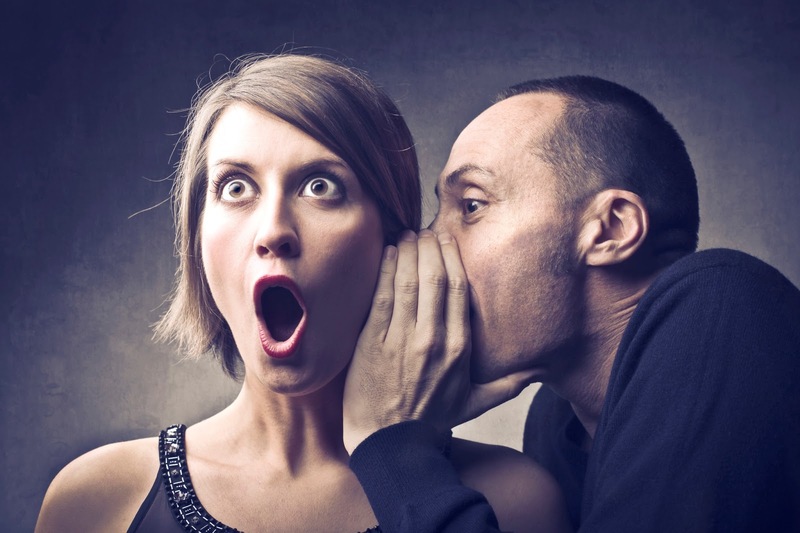 If what you hear doesn't match how you present your business online, train your employees on the correct way to converse with leads. Two wrongs don't make a right, so it's vital that you don't mishandle a lead and fail to call them back to correct what went wrong. Invest in a call tracking company that sends you mishandled call notifications by text and email so you can see when one of your staff members showed their ugly side and potentially missed an opportunity. You don't want prospects to compare your business to a psycho Batman villain, and neither do we. Make sure you're putting your best face forward both online and offline by investing in some call tracking tools. How Do You Like Your Multi-Channel Marketing — Shaken or Stirred? James Bond prefers his martinis shaken, not stirred. But if he were a marketer, we doubt he would choose this method to capture leads. Normally this would be top-secret, if-we-told-you-we'd-have-to-kill-you information, but for this post, we'll make an exception. 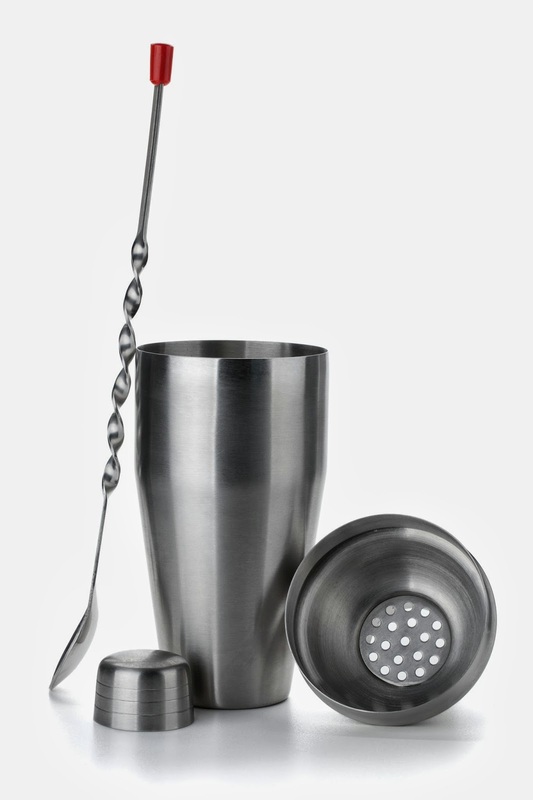 Whether shaking or stirring a martini, the end goal is to cool the drink. Shaking it in ice just cools it faster. 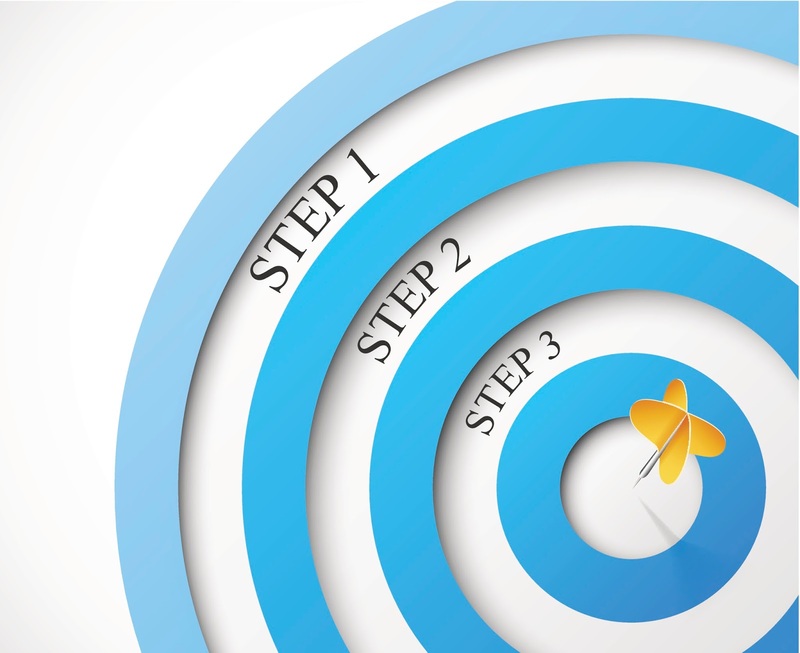 Multi-channel marketing also has one end goal: acquiring leads. In an effort to meet this goal quickly, marketers often use what we refer to as shaken marketing. In this strategy, businesses attempt to get leads to contact their business as fast as possible, which frequently causes them to skip over the nurturing part of lead capturing. If you're guilty of using shaken methods to acquire your leads, you probably don't realize you're mostly hurting yourself. Shaken leads equal cold leads. Before you ask consumers to enter into a business relationship with you, we recommend letting them warm up to you by using a stirred strategy. For example, you wouldn't expect Bond to get the girl without saving the world. To reach that point, he has to lay the initial groundwork by getting in a car chase, engaging in a shootout and breaking into a hidden underwater lair. In the same way, you have to take the time to nurture leads by giving consumers compelling content to read, videos to watch and planning tools to download. In the end, you'll generate prospects who are well informed and ready to buy. 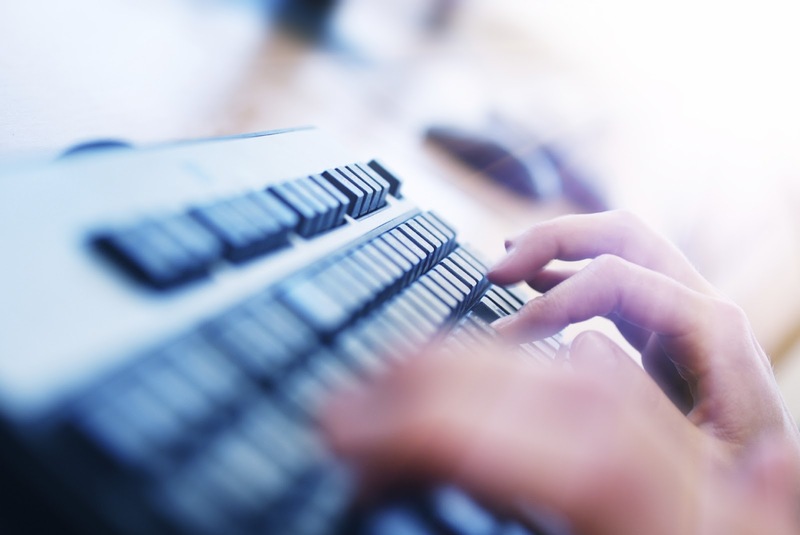 According to Accenture, about 94 percent of consumers do online research prior to a purchase. If you're not giving your prospects content they actually want to read, it's like you've invited them over to view photos from your vacation to Mexico. News flash: No one wants to sit through a presentation where you only talk about yourself. With stirred marketing, you can offer your prospects informative and creative content to draw them in and develop trust, leaving them wanting to hear more from you. If you are not challenging people, you're going to be forgotten. Address the problems that your target audience deals with every day in a creative way. Make them feel like you've read their minds and are delivering a solution that touches their hearts. Give your consumers relevant landing pages, clear, compelling CTAs and content that changes the way they do business. After having their expectations met, they'll learn to trust you as a thought leader in the industry, and they'll share their experience with others. Implement your stirred marketing strategy, warm up your leads and capture the girl... er, leads. This year, Google celebrates 14 years of AdWords. Check out this infographic for some of its most interesting milestones. The success of Google AdWords reminds marketers that search engine keywords are a huge part of a successful marketing strategy. For information on how to optimize and track your keywords, visit clickpath.com. Ever since the stone ages when cavemen began drawing on walls, humans have used pictures to represent their ideas and thoughts. The same concept applies today to infographics. Their visual appeal and ability to briefly state the important facts and statistics captures readers' attention, drawing them in for a quick and easy read. 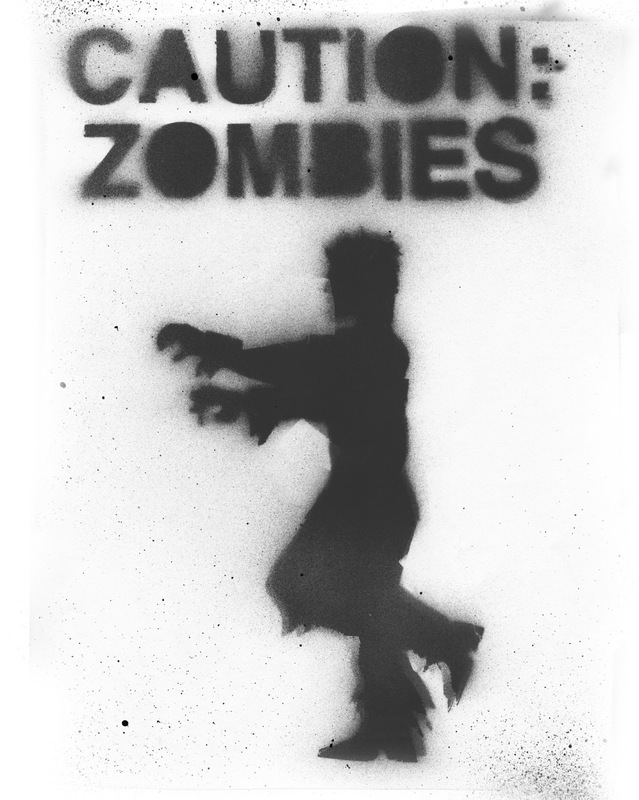 A quick search of the web and you’ll be sure to find hoards of infographics with topics ranging from how to survive a zombie apocalypse to the healing power of cat purrs and everything in between. But the real usefulness of infographics lies in their ability to be a highly effective marketing tool. Publishers who use infographics increase their traffic an average of 12 percent more than those who do not use infographics. Recently, SlideShare added an infographics player and an upgrade for its paid SlideShare PRO product that allows those who post infographics and presentations to see how well they perform. This is certainly a move in the right direction for the website that boasts the world’s largest community for sharing presentations.The folks at SlideShare noticed two huge trends among professionals: the growth of infographics as marketing tools and the rising importance of analytics. By incorporating both trends into their site, SlideShare proved that it can adapt to its customers’ needs. Here are a few lessons marketers can glean from this smart move by SlideShare. While this may sound simple, it is often easier said than done. Spend a few minutes each day checking out what some of the most popular blogs in your industry are writing about and glance over the trending topics on Google and Twitter. To decide which trends would be important to your target audience, conduct some research on how they spend their time and what topics have been of interest to them in the past. Before you jump on board with every trend in your field, it's important to consider how long the idea, tool, social media site, etc. is expected to be popular. While it's not possible to know the longevity of trends, you can use your insights and experience to make an educated decision. If you notice a trend popping up frequently, try posting a question on your social media sites or writing a blog post about the topic to gauge how your customers respond. Marketers are often so afraid of having shiny object syndrome that they shy away from trying out new things all together. If you've discovered a trend and believe that it will either be helpful or of significant interest to your target audience, then go ahead and experiment with it! If it doesn't generate much response, move on before you waste too much time and energy, but don't let it discourage you from taking risks. SlideShare was able to set a great example of how to stay relevant in an ever-changing technological world. Other companies can successfully build loyal fan bases that want to purchase their product by continuously evolving and tailoring products to better fit the needs of customers. Creating marketing campaigns that stand out from the crowd is a hurdle that often trips up even the most innovative marketers. If you’ve ever created a campaign that fell flat with consumers, you’re not alone. We’ve found four cringe-worthy campaigns from the past few years that serve as examples of what not to do in your marketing efforts. Levi’s released an ad campaign in 2010 that was supposed to show how its new Curve ID jeans worked with a variety of different body types. Unfortunately, the women who appeared in the ad, featuring the tagline “Hotness comes in all shapes and sizes,” were anything but different. Businessinsider.com noted that the women all wore a substantially smaller size than the national average (size 14) and were predominantly caucasian. Marketing Lesson: Test each campaign to ensure it conveys the intended message. If you run a campaign with the intent of conveying a message to a specific demographic, make sure you communicate that message properly. It’s apparent that Levi’s didn’t do its homework, because the very people it was targeting rejected the ad the most. The mistake could have been prevented if the ad had been viewed by focus groups before being publicized. You should always run your major advertising campaigns by the demographic you are targeting as well as people of different ages, ethnicities and genders to gauge their reactions. Well-known athletic shoe and apparel producer Reebok gave out some unwarranted relationship advice last year when it displayed an ad that read “Cheat on your girlfriend, not on your workout” in a gym in Germany. Even though Reebok only ran the advertisement in that one gym, social media allowed the whole world to be made aware of the marketing faux pas. CBS Local reported that Reebok was quick to release a statement saying, “The signs were removed as soon as we were made aware of them. I can assure you that Reebok does not condone this message or cheating in any way. We apologize for the offensive nature of these materials, and are disappointed that they appeared at all." Marketing Lesson: Abandon offensive campaigns and apologize ASAP. While this advertisement was obviously a mistake, Reebok at least did one thing right: It quickly owned up to the slipup and apologized. Consumers can relate to and respect a company that can admit when it's wrong. If you run a campaign that offends or upsets people, the best thing to do is simply apologize and move forward. Lifelock is a company that prides itself on protecting people from identity theft. 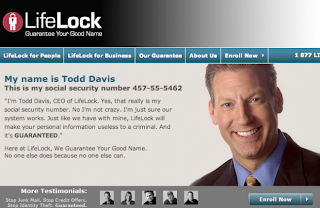 In an attempt to pull the ultimate publicity stunt, CEO Todd Davis publicized his social security number on a Lifelock commercial, website and billboard to advertise his confidence in the company's services. 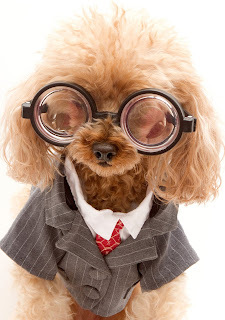 What he didn’t foresee was that identity thieves were ready to accept his challenge. According to wired.com, Davis had his identity stolen a staggering 13 times, and the FTC fined Lifelock $12 million for deceptive advertising. Marketing Lesson: Don't make promises you can't keep. Make sure your product lives up to your claims. The more ridiculous the claim, the more people will want to disprove it. 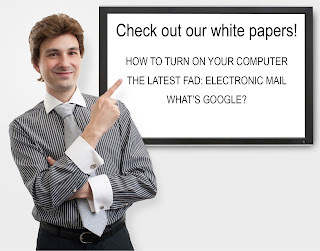 Intentional or not, deceptive advertising is incredibly difficult to recover from. It could cost your company its reputation and millions of dollars as well. Groupon experienced immediate criticism for being insensitive and trivializing a serious issue. They were even dubbed the Super Bowl's lamest commercial of 2011 by Everything PR. All of the criticism caused Groupon to pull the advertisement just four days after it aired. Marketing Lesson: Approach humor with caution. Cultural insensitivity is never funny. Groupon’s intention was to create an ad campaign that satirized celebrity endorsements, but the majority of viewers received a different message entirely. This failed attempt at humor emphasizes just how cautious you should be when using comedy in your marketing. Humor is easily misconstrued, because what is considered humorous to some may be highly offensive to others. Shy away from poking fun at serious cultural topics and stereotypes, as they are sensitive subjects for many people. between golf and marketing — including the tough stuff. They each require patience, focus and a keen eye. 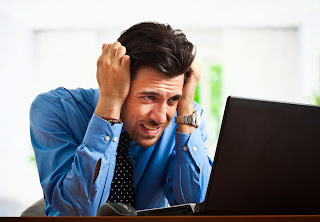 While we can't help you improve your score card, we can help you overcome the following difficulties in your marketing. In golf, the fairway to the green is rarely straight. In marketing, the path to a consumer is never straight. There are multiple ways marketers can reach out to their target market, and the problem with this curvy path is that sometimes you can't see which of your marketing shots are most successful. When reaching out to consumers through multiple channels, it's vital to know which channels are successful and which ones aren't. For example, if your goal is to have people pick up the phone and inquire about your product or service, you can add unique toll-free numbers (TFNs) to each of your campaigns. Then you'll be able to directly correlate each call you receive to the ad that generated it. By tracking the responses you get from your ads, you can determine which ads are ineffective and focus on campaigns that bring in revenue. Sometimes sand and water traps can be directly in the path of the clearest shot to the hole, forcing you to adjust your swing to prevent getting stuck in a rut. In marketing, these obstacles are similar to the demographics that are not responsive to your campaigns; you must dodge them in order to efficiently spend your budget. Use a geo-targeting tool to help you determine where these obstacles are so you know which areas to avoid before you implement a marketing plan. 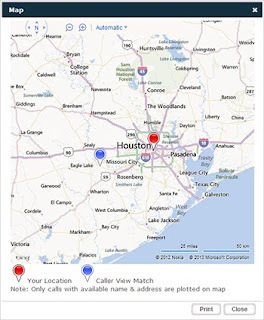 By identifying exactly which regions your calls are coming from, you'll know where your marketing efforts have been most successful and therefore which regions to target more heavily. If you target an area that provides little or no return, you can pull out of the region immediately to save money that would otherwise be wasted. To walk away with a successful score, you have to keep track of each stroke, hole by hole, throughout the whole game. In marketing, you have to keep track of each campaign, day by day, across every channel. This is when real-time analytics comes into play. Let's be honest: Sometimes marketers want results immediately. Consider using a marketing analytics tool that gives you access to real-time data. With campaign information at your fingertips, you'll be able to quickly see if you're reaching your target. 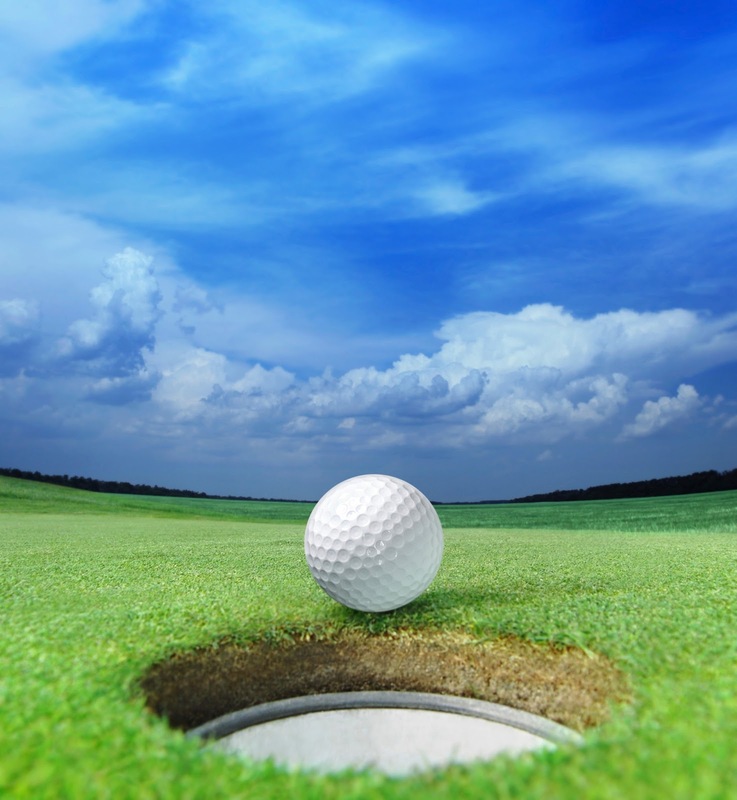 Do you have more tips for hole-in-one marketing? Share them in the comments below! According to a recent article by Business Insider, "Tiny lobsters are tearing this country apart." Need a little background information? We did too. 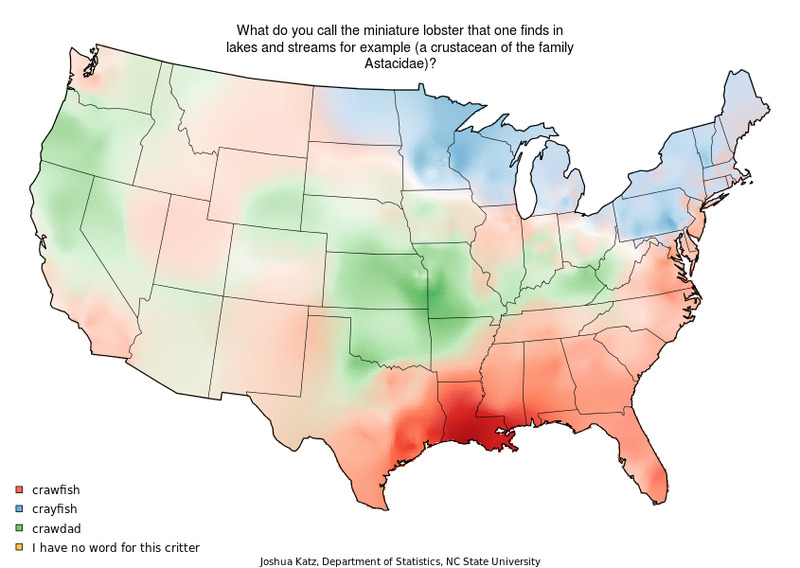 North Carolina State University released a series of dialect maps from its linguistic study, showing the variety of ways Americans pronounce words such as "caramel," "been," "crayon," "mayonnaise" and, of course, "crawfish." Sorry, we mean crayfish, or is it crawdad? Either way, discovering these dialect differences was not only entertaining, it touched on how many subcultures there are across America. It also reminded us of the importance of geographic segmentation. If you're not familiar with the term, here's a quick rundown of what geographic segmentation is and what call mapping can do to help. Marketers use geographic segmentation to tailor marketing strategies to specific geographical markets by taking a region's culture, climate, etc. into account. That's a pretty vague definition, so let's look at some examples. Though Dairy Queen has locations throughout the U.S., it runs television ads specifically in Texas featuring the slogan "DQ. That's what I like about Texas," encouraging viewers to check out the DQ Texas website. By focusing on the theme of state pride, Dairy Queen is able to successfully target this geographic area. Another prime example of the use of geographic segmentation comes from Reckitt Benckiser. Its easy-off BBQ cleaner is only available in a handful of Walmart stores across the nation. Reckitt doesn't want to market its product to people who don't shop at their local Walmart, so it uses geographic segmentation and real-time data to target its ads to residents within a five-mile radius of Walmart stores carrying its product. Taking it a step further, Reckitt only runs its product ads on days near weekends when a targeted area was expecting sunny weather, because it finds these conditions increase the likelihood that people will barbecue. This gives a whole new meaning to the marketing adage "Convey the right message to the right people in the right place at the right time." How Do Marketers Know Which Regions to Target? Geographic segmentation is no easy feat. Marketers must have an analytics tool to help them assess where they should focus their efforts, or else the results will be all over the map (pun intended). A good first step is to determine which channels generate the most high-quality leads for your business and then drill down to see which regions are generating the most leads. 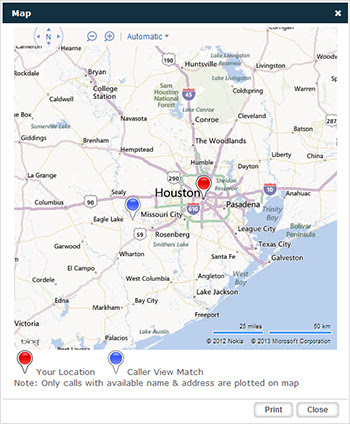 For example, if your best leads come in via the phone, our Call Mapping feature displays a map that indicates exactly where the people calling in response to your ads are located. 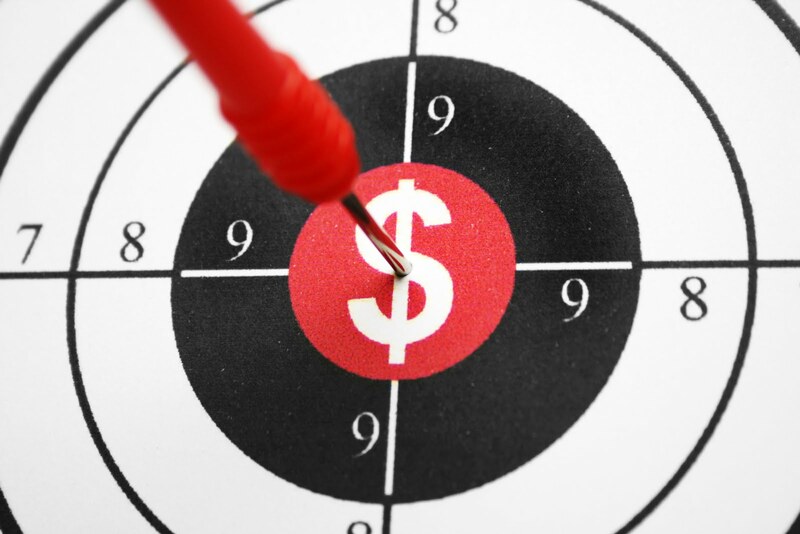 You can then target your ads to a specific geographic market. As with any marketing campaign, you'll have to do some experimentation to gauge how particular regions respond to each campaigns. Unfortunately, marketers spend copious amounts of time and money creating these campaigns and still feel like their lead generation methods are not effective. Why is this? Some people would chalk it up to low self-esteem; however, we would argue that it's due to a lack of resources (of an analytical nature). Marketers try to reach consumers through at least 13 different channels, making it a challenge to find the link between ad sources and the leads they generate. 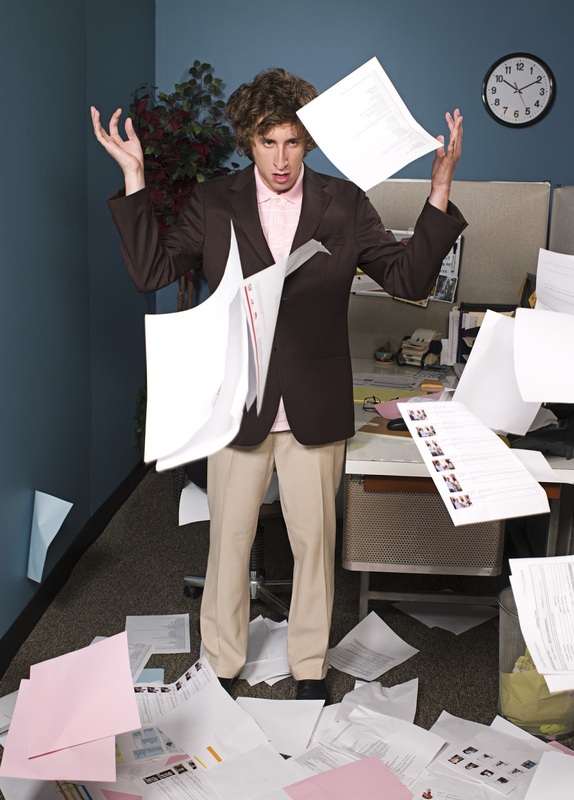 The result is that 40 percent of marketing budgets are wasted on campaigns that don't work. To solve the mystery of where leads are coming from, 28 percent of companies and agencies are using last-click analysis, but this method has a major flaw: It only accounts for the click that led directly to the website, ignoring all other marketing touchpoints. Marketers are wising up to this fact, and in an effort to gain deeper analysis into consumer behavior, 26 percent of advertisers have started using more advanced forms of marketing attribution. They now realize where the key to discovering the relevance of their marketing efforts lies — in the full transaction history. Thirty-nine percent of companies are using real-time analytics to keep up with the rapid inflow of data and to tie conversions back to the exact keyword or ad source that generated leads. This allows them to identify how well their search terms are performing and to react to those results quickly before wasting money on keywords that aren't producing leads. According to researcher Rex Briggs, 28 percent of marketers worldwide indicate that measuring attribution and interactions across channels is an important objective for their marketing analytics. 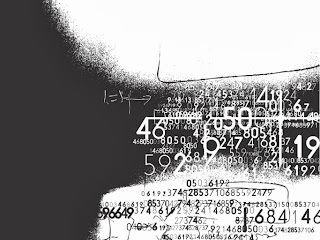 As markets expand and technology continues to evolve, one fact is clear: It's critical that you track the advertising revenue each of your campaigns generates in real time. Engaging with prospects and customers on Twitter is not only a good way to make business connections but also an opportunity to strengthen your brand. If you're still using a generic background template, you're missing out on an opportunity to express and legitimize your brand. Extravagant designs may not translate, because the visible area on either side of your feed can vary for different users, depending on the size of their computer screens. It's important to keep your background consistent with your branding standards by incorporating your company logo and colors so customers will recognize and trust your page. Already have a custom Twitter background? Share a link to your page in the comments. We'd love to see it! Last Wednesday Facebook jumped on the hashtag train, five years after Twitter began using the nifty little guys. A small percentage of Facebook users are now able to use hashtags, which are both clickable and searchable, and more users will be able to hashtag it up in the coming weeks. Facebook explained that it decided to join this social media trend in order to create “a simple way to see the larger view of what’s happening or what people are talking about.” Users will be able to search for hashtags using the Facebook search bar, click on hashtags from other sites and even add hashtags to Facebook ads. This is #excitingnews for marketers since hashtags will allow you to connect your promotions across social media platforms. According to an article by webpronews.com, the best part about Facebook hashtags is that it takes something marketers are already using and magnifies it by utilizing Facebook’s huge user database. Last year, Forrester reported that only 37 percent of customers give brands "good" or "excellent" customer service scores. We're not too surprised by this data. 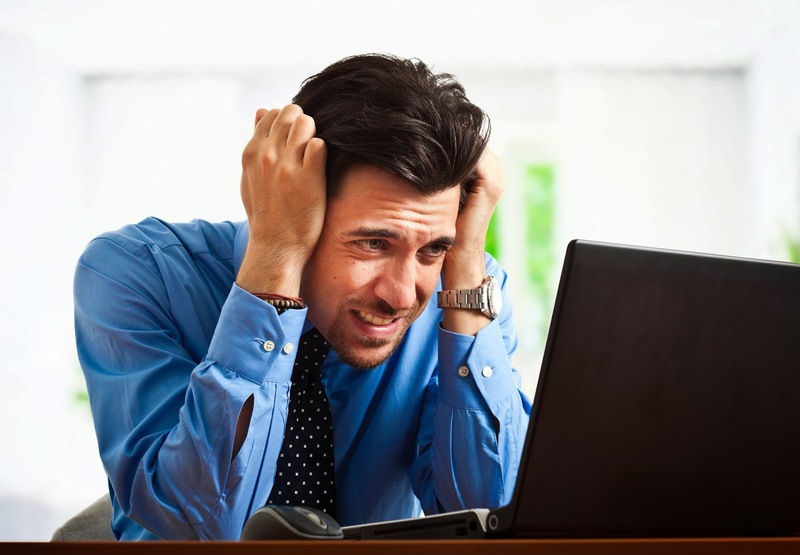 Customers are naturally more inclined to comment on bad service rather than good. If you're a marketer, you're probably throwing your hands up, screaming, "What does it take to get a positive customer review?!" Marketers, please stop, collaborate and listen. You must differentiate yourselves from the competition by doing something extraordinary, something memorable and something worth writing about. We'll give you some prime examples. 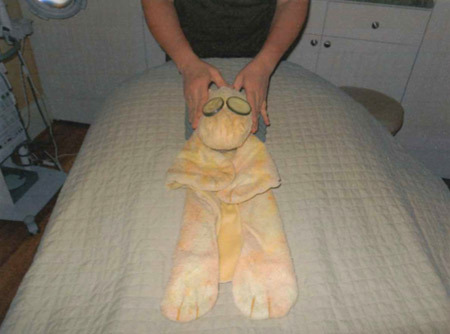 After returning home from a Florida vacation, Chris Hurns realized that his son had left behind his stuffed giraffe, Joshie, at the Ritz-Carlton hotel. To comfort his upset son, Hurns told him that Joshie was extending his vacation. The next morning, Hurns got a call from the Ritz-Carlton Loss Prevention Team saying that they had found the lost giraffe. To validate his story, Hurns asked the team to take a picture of Joshie by the pool with sunglasses on. A few days later, Hurns received a package from the Ritz-Carlton. What was inside was so extraordinary and memorable that Hurns uploaded a video to YouTube, telling the world how impressed he was. That video currently has over 31,000 views. 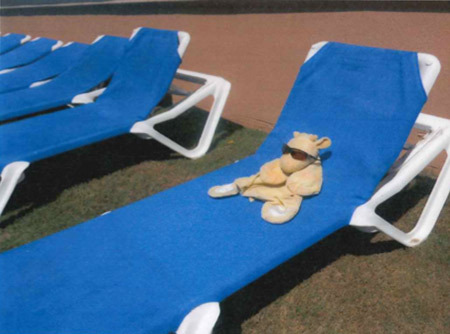 The package contained Joshie and a picture of the stuffed giraffe by the pool just as Hurns had requested. 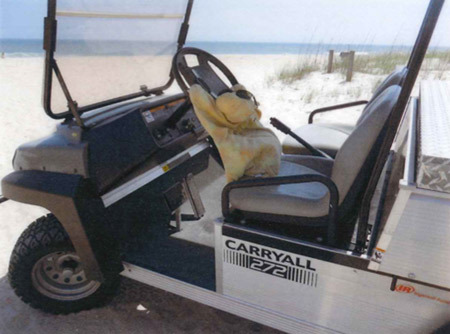 What impressed Hurns the most was that the Loss Prevention Team had also included an entire photo album of Joshie's extended vacation, including Joshie getting a massage and driving a golf cart. After a long day of traveling, Peter Shankman, a steak enthusiast, jokingly tweeted his favorite steak house with an odd request. What he didn’t expect was that the restaurant would actually take his request seriously. 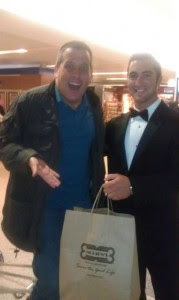 When Shankman walked off the plane and into the airport two and a half hours later, there was a man in a tuxedo carrying a Morton’s bag filled with a 24 oz. porterhouse steak, an order of colossal shrimp, a side of potatoes, bread, napkins and silverware. Perhaps the most impressive part of this story is that the closest Morton’s steakhouse was 24 miles away. This means that someone had to see the tweet, get authorization to perform the stunt and place, cook and drive the order to the airport while someone else tracked down the flight and where he would be landing in just under three hours. The big question is: What can we learn from these companies? The Customer Service Team at the Ritz-Carlton wasn't responsible for the creative binder of pictures and goodies that made the Hurn family feel special. It was the Loss Prevention Team. As Tony Hsieh, CEO of Zappos, once stated, “Customer service shouldn't just be a department, it should be the entire company." The Ritz-Carlton is notorious for its high standards of customer service, and it trains and motivates all of its staff to go above and beyond the call of duty for its guests. By doing so, the Ritz-Carlton creates a base of loyal customers who are dying to tell their friends and family about their experiences. Could the Morton’s steakhouse delivery have gone completely awry? Of course. Shankman’s flight could have been delayed. He could have accidentally walked past the Morton’s server. The point is, an infinite amount of mishaps could have occurred, but the steakhouse took a chance and it worked. Not only did they make one man a loyal customer for life, they received a large amount of free positive publicity. We should all strive to mimic the actions of the Ritz-Carlton and Morton's Steakhouse by creating lasting impressions on our customers through incredible service. Give your customers something exceptional to rave about, and watch the great reviews roll in. 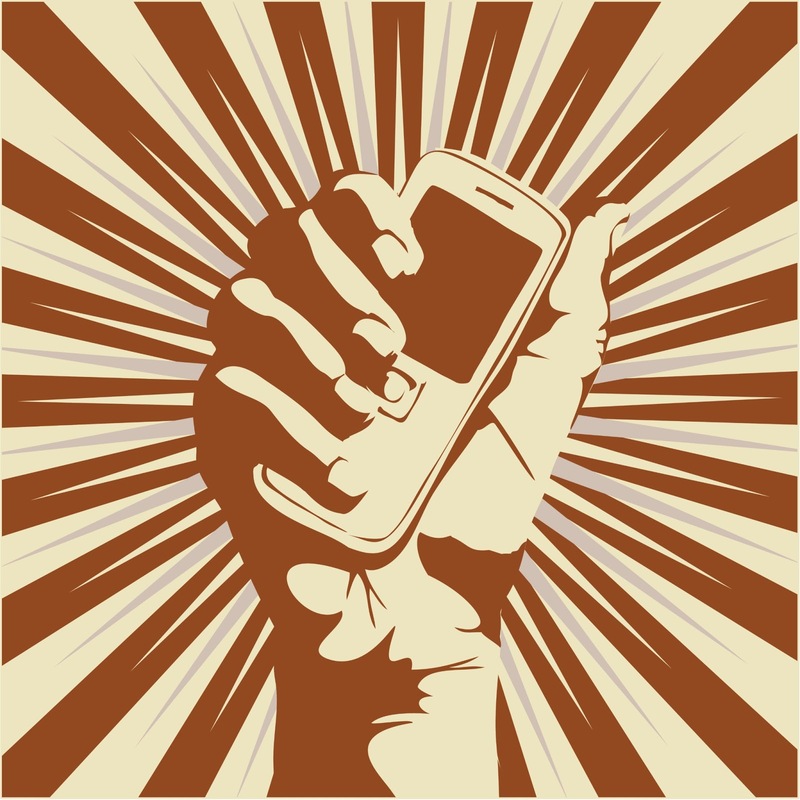 Smartphones and tablets have evolved way beyond a simple communication device. 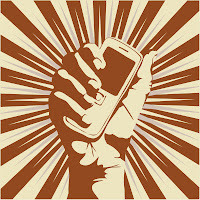 They enable consumers to engage in social networking, hear breaking news stories and make purchase decisions from anywhere. For businesses, they present profit-earning potential that has grown exponentially in the last few years. 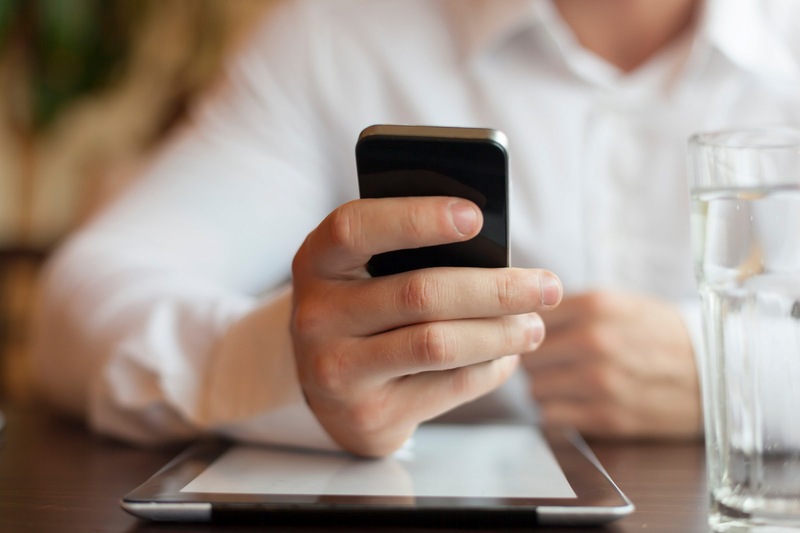 If you’re an auto dealer, you may have already started to recognize the not-so-hidden potential of mobile devices on your sales cycle. According to a survey by J.D. Power and Associates, one in five new vehicle buyers who use the Internet in the automotive shopping process did so on a smartphone or tablet. More importantly, out of each tool utilized in the car shopping process, tablets were ranked as the most useful (even above test drives and opinions of family and friends). After researching vehicles, nearly 60 percent of shoppers narrow down their decision to one model in the final week before their purchase. However, getting consumers to research new and used vehicles on your site is half the battle. It's also important that they can actually reach your sales team once they have their sights set on a car. An article by Dealer Marketing Magazine revealed that phone calls are the primary method of customer contact before and during a sale, yet 19 percent of new car sales calls never reach a sales representative, 6 percent hang up while on hold and 13 percent are sent to voicemail, with almost half of those callers electing to leave no message. Combined, that's a 38 percent loss of potential customers and revenue! 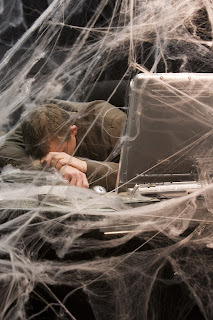 Investing in call tracking can help prevent this substantial loss. Call tracking providers such as Who's Calling can notify you when a call has been mishandled, record your calls and evaluate your staff's performance so you don't miss out on a potential sales lead. For more insight into the role mobile devices play in the automobile buying process, check out the rest of the survey results here. 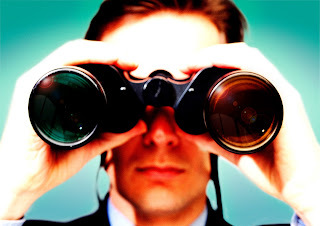 Often, knowing and understanding the customer is carried out from a distance. Yes, you can (and should) engage with customers via social media, email or phone, but in today’s digital age, you won’t always get the opportunity to meet with the customer in person. 7 out of 10 attendees plan to buy one or more products at trade shows. 76 percent of prospects at trade shows ask for quotes and 26 percent sign purchase orders. 72 percent of visitors say the show influenced their buying decision. Based on these stats, getting a trade show attendee to sign with your company should be like shooting fish in a barrel. But, as many marketers who invest in trade shows will tell you, it's not that easy. To turn a prospect into a customer, you must engage visitors in meaningful conversations that show you understand and can meet their needs (more adequately than your competitors) so your product or service can sell itself. "But," you say, "if I'm doing all the legwork behind the scenes, getting to know the customer, etc., then my products and services aren't really selling themselves, are they?" You got us. No, your products and services are not just going to magically sell themselves without a little research and strategy on your part. However, once you discover what your prospects need and can clearly point out how your product or service can cure what ails them, the rest is simple. Here are some tips to make the most of your trade show experience (and get a leg up on competitors). Before you set foot in the exhibit hall, you should know what industries your prospects are in, what types of roles and decision-making power attendees hold within their organizations and what their concerns are so you can directly address their hot buttons in your marketing material. After catching their attention, you can start the types of meaningful conversations that lead to a conversion. Knowing the types of businesses who will be at the show will help you prepare a competitive strategy. By anticipating your competition's sales pitch, you’ll be able to showcase features or benefits your company offers that they don’t. To give yourself even more of a competitive edge, consider purchasing a booth at a show not typically associated with your products and services. When you attend a niche show, your competitors will most likely not be there, giving you the opportunity to “cross-pollinate ideas into your product lineup, and come up with things your competitors and clients have truly never seen before,” says starterist.com. Once you’ve done your competitive research, your goal should be to make such a good impression on the prospect that they 1) realize their need for your product or service and 2) are so impressed with your company that they don’t feel a need to research other vendors. The only thing that attendees evaluate more than the product or service you are selling is you, which is why you must make the best first impression possible. Be aware of your body language. If you’re sitting down, talking with an associate or flipping through your own material, attendees assume that you are too busy to talk with them. Instead, approach them, engage them and welcome them to your booth. Once you draw your prospects in, listen to their concerns before jumping into your sales pitch so you’ll know exactly which topics to stress when you do start talking about your product. Then, draw upon the knowledge you’ve gained during your attendee research to answer as many of the prospect’s questions as you can. If you don’t know the answer, tell the prospect you will find out, get their contact information, research the answer to their question and be sure to get back to them within a few days. Give them a unique toll-free number that redirects to your direct line so that the prospect has an easy way to get in touch with you and so you can easily track any phone leads from the show. Always follow up with leads. Send a personal email to clients who had questions you’re researching the answers to or who expressed interest in making a purchase. For leads who visited your booth but were still on the fence about what you had to offer, shoot them an email offering to help them answer any questions or address any concerns they may have. This will help you stay at the forefront of the prospect’s mind without seeming pushy. The next time you attend a trade show, jump on the chance to get to know and understand your future customers, match them with the product or solution that best meets their particular needs and watch your product sell itself. When customer feedback signals that your user interface needs to be more efficient and visually appealing, it’s time to look into updating it. In this blog post, we targeted five areas to focus on when redesigning your online application. If your site is giving your users carpal tunnel, you need to reduce the amount of clicks it takes for them to reach frequently viewed pages. Include a main menu with clearly defined sections, and allow users to access it from any page on the site. Don’t make your users scroll through long lists of information to find what they’re looking for. Improve your site’s efficiency by including search filters, not just a search bar. Give users multiple filter options to narrow down their results. Users are often more self-sufficient than companies give them credit for. If there is a simple way that your users can complete a task online, make it an option on your site. Consider how consumers purchase your products and services, request information, etc. Does the page structure makes sense? Is the information on each page is organized correctly? Give your users an easy way to see how your site has been updated by creating tutorial videos. Your customers may not want to sit through a 30-minute demo on all the updates you made to your site. (Who does?) Instead, break the information down into multiple videos that each addresses a section of the site that has been updated. It's also a good idea to give prospects a sneak peek at the updates you've made. Though they're not able to access the site yet, it's important to show that you have considered your current customers' needs and are continually looking for opportunities to improve their experience. Our new user interface will launch April 29! To see how we've updated it, check out the video below. Yesterday, we saw several businesses take part in online pranks, from long-time participants (Google) to more recent contributors (the White House). Some pranks were a little bizarre (pizza-flavored Tic Tacs), while others left us wishing they were a reality (Sony's headphones for cats). While surfing the Internet and spotting all the fake product releases on April 1 is entertaining for consumers, is it actually profitable for the companies that engage in all the tomfoolery? April Fools’ Day is a golden opportunity for marketers to get free publicity, test new product offerings and set their brand apart. Think about how many articles were posted in major publications yesterday reiterating “The Best April Fools’ Day Online Pranks.” All that free publicity really adds up for businesses, which is why marketers are the ones behind the scenes coordinating and creating the elaborate content. For example, Google, who planned more than ten fake announcements on April 1, created a video, landing page and scent search results for Google Nose alone. 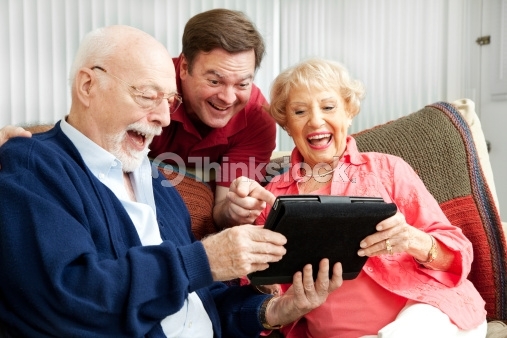 Businesses such as Think Geek used April Fools’ Day to pilot some of its zanier ideas. A few years ago, Think Geek introduced Canned Unicorn Meat into its fake product lineup, and after receiving an overwhelming amount of feedback from its customers begging for the prank product to actually be offered, it obliged. The product sold out within weeks. 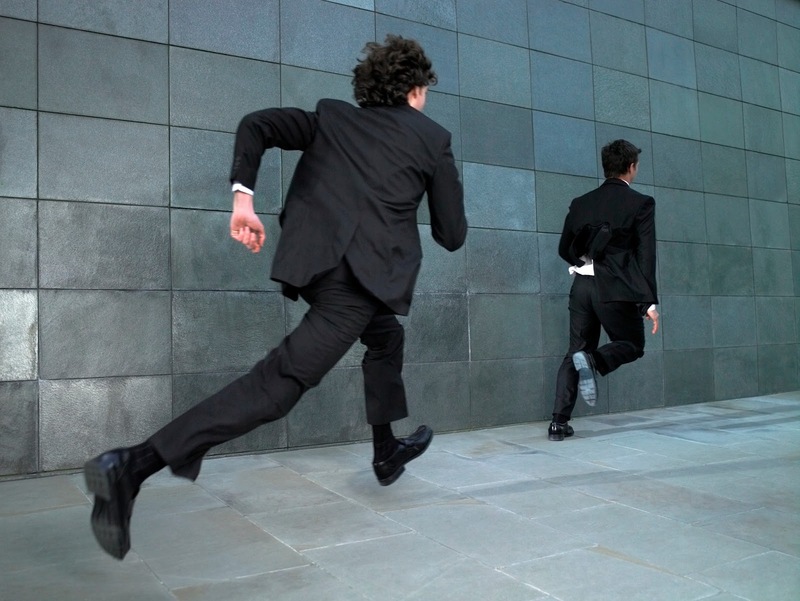 A parody is a great way to set your business apart from the competition. Even if your company doesn’t usually put on a humorous tone, participating in April Fools’ Day makes your brand more dynamic and allows you to connect with customers on a new level. If you’ve never entered the realm of April Fools’ Day corporate gags and are worried about confusing your consumers, start small. Next year, use social media as an outlet to try out an obvious prank where humor is readily accepted and see if it improves your social reach.